Socialite Events began with a love for the art of entertaining and organization, two integral requirements for planning a fabulous event! Owner and lead consultant, April Pyatt started out working with a well-known certified wedding coordinator in Columbia, South Carolina. She later branched out in 2008 to launch Socialite Events. She has since partnered with Event Design Specialists in the area along with a host of other professionals to build what she now considers - The Dream Team! We're excited to meet your needs - let's chat soon! Socialite Events has developed a way to make planning an event a much more pleasant experience. Everyone wants to Celebrate, but not everyone wants to Plan. We’ve streamlined the process to move you from an idea to an experience! Socialite Events takes you through a 5-phased start to finish approach to planning an outstanding event. Socialite Events has developed a way to make planning an event a much more pleasant experience. Everyone wants to Celebrate, but not everyone wants to Plan. We’ve stream-lined the process for you to move you from an idea to an experience! 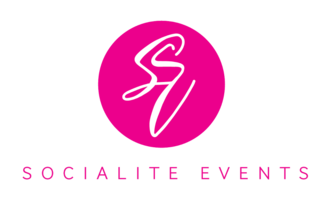 Socialite Events takes you through a 5-phased start to finish approach to planning an outstanding event.